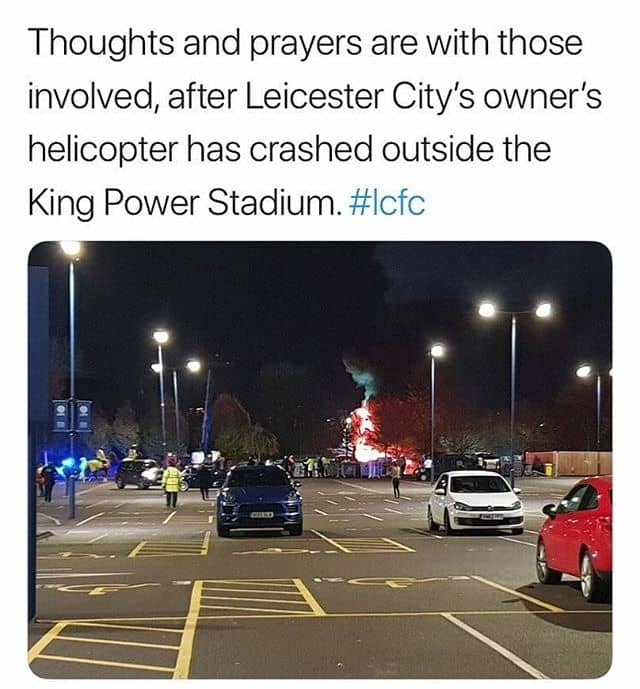 The Sporting Director and Owner of Leicester City Football Club Involved in a tragic accident. What a Tragic Day in Football. Families, friends and well wishers are been informed about this tragic incident. Prayers and Support is all they need now. Leicester City Official Club site will publish more details tomorrow morning about this tragic event.